With the government’s plans for building a safer future in motion, Marc Gaunt, Segment Marketing Manager at Eaton, examines four key impacts this could have on the electrical industry. 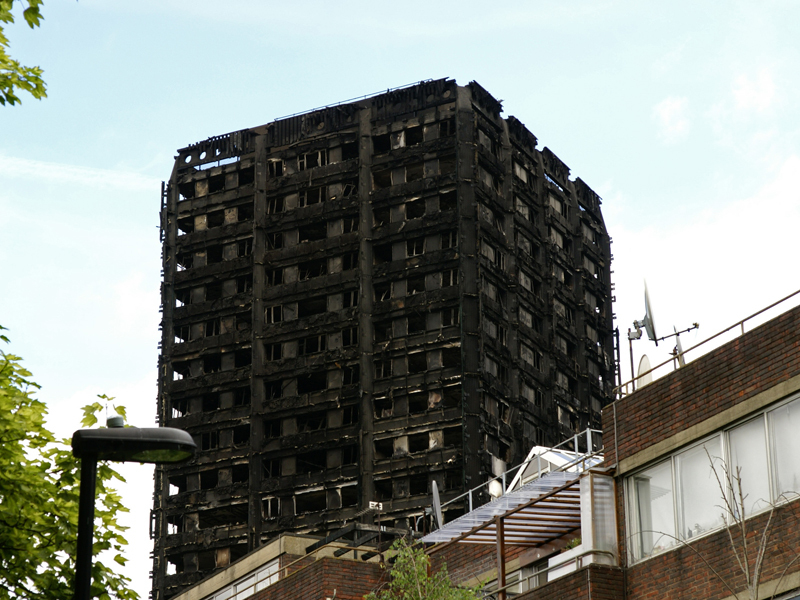 On December 18th last year the government announced a more effective regulatory framework to improve building safety. The plans are intended to show how the government will implement recommendations made by Dame Judith Hackitt in her review of the building regulations, following the Grenfell fire. In addition, the government has also issued a ‘call for evidence’ that will gather expert advice on the full range of fire safety issues to enable guidance to be revised. It will most likely take some further time before the scope of new legislation to improve safety is clear, however looking at the “Hackitt Report” and government’s framework, we can now start to surmise some of the potential changes and what impact they may have on the electrical industry. The Hackitt report identifies ambiguity over roles and responsibility in the construction industry and inadequate regulatory oversight and enforcement. In 2019 we’ve seen new additions to the wiring regulations where safety recommendations are made. Interestingly however, rather than outlining clear requirements on where new regulations must be applied, they are in some cases very much open to interpretation and purely recommendations. One might argue a clearer “you must” should apply where safety is concerned. Within the electrical industry we have and continue to make significant forward steps on education, installation practice and technology to improve safety standards. Although there has been some recent criticism of a lack of hard action having taken place yet post-Grenfell, I would suggest it is now a case of when, not if wider regulatory change takes place – most likely within the building regulations. Regulatory change may come in many areas but strengthening regulatory oversight may come in the form of both design and installation standards and the requirements for products themselves. Many of us tend to think of as Grenfell as a residential disaster within a specific build type and this is where new requirements will apply. However, in addition to High Rise Residential Buildings (HRRBs), Dame Hackitt also identifies high risk “‘institutional residential buildings” such as hospitals, care homes, hotels, prisons, Halls of Residence and boarding schools where specific regulatory requirements may well apply in the future. Tragically in Grenfell, several building products have already been proven to have failed to perform as expected and required. One possible scenario under discussion is a possible definition of safety critical products within buildings where independent assessment and compliance marks would be mandatory. Although potentially new to the UK, this is ironically a standardised approach in other countries such as the U.A.E. where BS standards are widely used, combined with third party approval schemes on systems such as emergency lighting. Trusted manufacturing partners are likely to be open to such independent checks and this is one possible independent means of ensuring product performance at the point they’re put to market. Culture within the UK construction industry has been a prime focus area, particularly within the Hackitt report with the use of the terms “ignorance” and “indifference” being levied against the industry. From a procurement and installation perspective Dame Hackitt has placed value engineering under the spotlight and described it as “anything but”, the sentiment being that cost is put before quality and potentially safety. Culture in our industry is something which is not likely to change overnight but will need to do so moving forwards if safety standards and performance are to improve. Education of all key members in the supply chain is vital to ensure that projects are not just delivered on time and on budget, but also to the intended, appropriate specification. The Hackitt report suggests sprinkler systems, effective compartmentalisation and the use of non-combustible materials as some of the main means for improved fire safety. And while these are effective measures in preventing the spread of fire, they don’t protect against the actual occurrence of fire. For our industry, good installation practice is key and the first line of defence. As was seen in the Grenfell fire, electrical faults continue to be responsible for more than 25% of fires, on average, every year. New technology in our sector can also play a major role. Recommended in the 18th edition, arc fault detection technology (AFDDs), designed to detect high resistance electrical faults, have been used extensively in other countries for some years, including the US where it was deemed to potentially prevent 50% of incidents. In the UK, this technology has only just been recommended this past year – and there are still no mandatory requirements around its use. Wider promotion of new technology to safety authorities, a more holistic view of safety technology and a focus on prevention rather than containment is a major benefit our industry can bring to buildings. Changes to building regulations will now happen, its ‘when’ not ‘if’, and evolution of regulations is likely to increase with a formal five-year review being proposed. There is an opportunity available now for installers to influence further changes by working with relevant associations to raise new opportunities to improve building safety. Even though the exact nature of pending changes is still to be clarified and the political environment is uncertain, we’re about to enter what could be the biggest change in building requirements since regulations were first introduced.